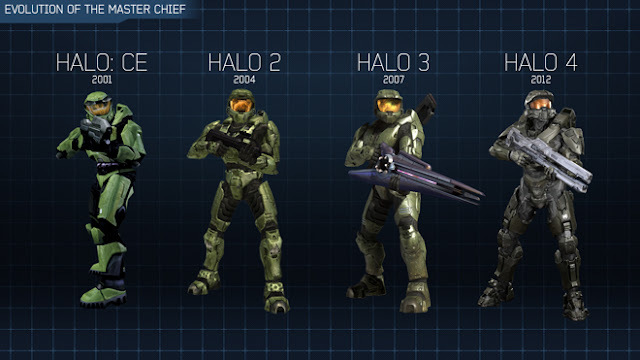 BS Angel posted this picture of the 4 different versions of the Master Chief as he has appeared in each of the four Halo games he's featured in. She writes "As the video game industry advances, so does its tools and techniques, and that is readily apparent when looking at the Master Chief’s evolution over the past ten years. Each iteration of our favorite Spartan super-soldier has been distinctive yet similar, but don’t confuse design with canon – the Chief is the Chief, just with the details and idiosyncrasies based on what each time period and toolset has to offer"